Take your tailgating attire to the next level with this Chicago Cubs Tank Top! When the sun is hot, you'll want to stay cool and comfortable in this Blue Loyalty Team Mark Sleeveless Shirt, so you can cheer on the Cubs to victory. 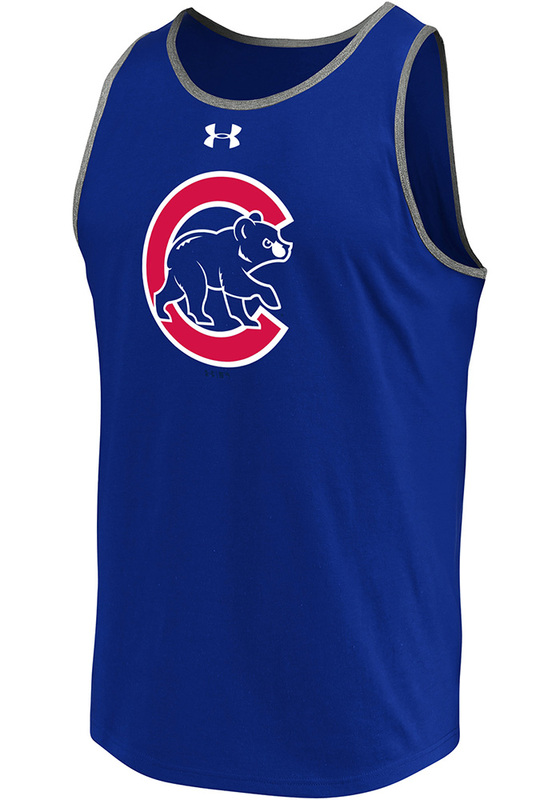 This Chicago Cubs Tank Top features a Tank top with binding at neck, loose fitting, heat gear by Under Armour with team graphic on chest., making it a great option for any die-hard Chicago Cubs fan.